Melbourne is famous for its lanes, but some have barely begun to be appreciated. 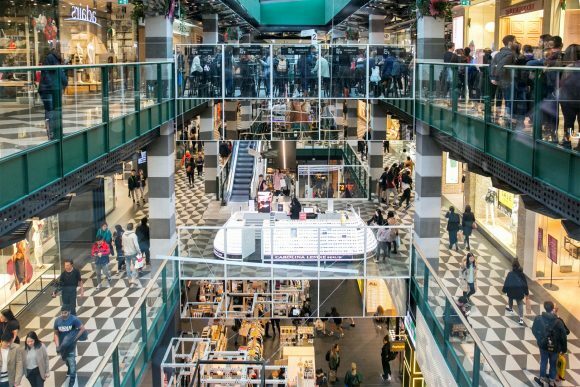 Thanks to City of Melbourne’s in-the-know Visitor Services staff and volunteers here are some cool little streets and their hottest spots to discover. For more inside tips, seek out their friendly team at various locations around the city or head to our new Melbourne Town Hall visitor hub for more information. It’s in the middle of the CBD, but have you ever – knowingly – walked down this narrow alley? 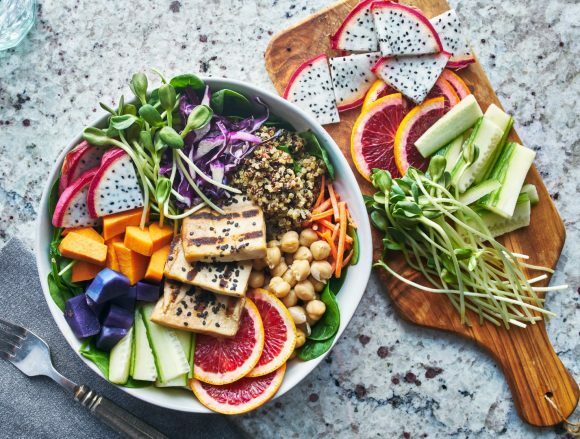 Stroll past street art and pots of greenery on your way to its most fashionable hangout, Manchester Press. This arty-industrial cafe is always good for coffee and bagels – if you can get in! Never fear, there’s more excellent java steps away at Brother Baba Budan, one of the cafes run by primo roasters, Seven Seeds. Need something more substantial? Tipo 00 is named after the fine Italian flour used to make premium pasta, which is exactly what they do here. 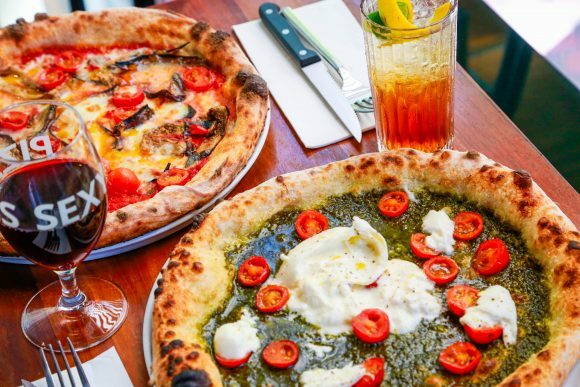 Tempting tortelloni, perfect pappardelle and ridiculously good rigatoni awaits at this so-hot-right-now pasta bar, just around the corner on Little Bourke Street. And if you want something that makes you look ridiculously good, check out the luxe organic cotton threads at Bassike or book in a hair styling or makeup session at Billie Jean Hair. This rare example of the CBD’s industrial heritage is not what it used to be. In a good way, because a recent Green Your Laneway makeover has introduced potted plants and a man-versus-nature Mike Makatron mural. Cafes have been popping up too. Like Krimper, whose vintage-industrial design is thanks to the space’s history as a sawmill, then a cabinetmaking factory. And Cat Cafe Melbourne, which would really make the lane’s former blue-collar workers scratch their heads! 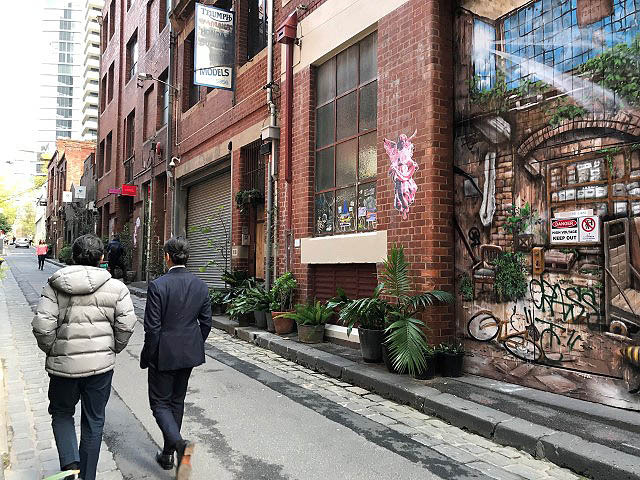 Discover more in our laneway lover’s guide to Guildford Lane. Blink and you’ll miss this little dogleg off Howey Place. 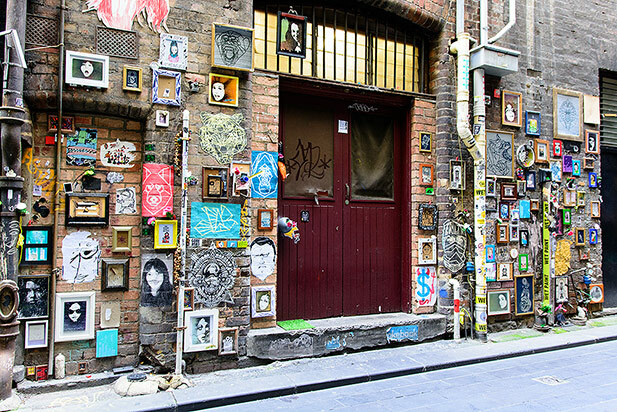 So keep your eyes peeled and discover a pocket of small-scale street art that’s often framed, and Melbourne’s smallest bar. There’s only room for 10 standing patrons at Bar Americano, so arrive early if you want to sample their sophisticated old-school cocktails. One side of this east-end lane is a big old red-brick wall, concealing the Melbourne Club’s secret garden. Bad news guys, you can’t go in unless you’re a member of this super-exclusive establishment. The good news is that there’s a warm welcome elsewhere in Ridgway Place. Get a quick sandwich and coffee at the architecturally interesting little cafe called Liaison. Or get serious about coffee at Sensory Lab, which has lots of different beans and brewing methods, and tasting notes too. How about coffee or a relaxing glass of vino with a plate of something nice at Lupino? The pasta and bread is made by hand at this relaxed, retro-smart Italian bistro. A minute’s walk from Ridgway Place is a new mural in McIlwraith Place. 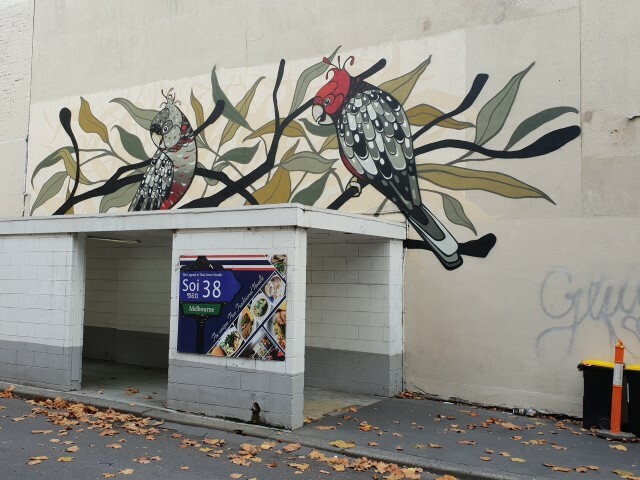 Artist Scottie Neoh took eight days to create this masterpiece of cheeky Gang-gang cockatoos. Did you know Hardware Lane becomes Hardware Street north of Lonsdale Street? It’s news to most people, even lifelong Melburnians, because this one-block laneway has a cool vibe similar to its famous neighbour. Start your exploration at White Mojo, with one of the most Instagrammable (and delicious) breakfasts in town. The seasonal menu, including Princess Hot Cakes, is practically designed to be eaten with your eyes. Hardware Street Cafe also knows how to cause a social-media (and taste) sensation, with their daily freshly baked Belgian waffle. crispy bacon and maple syrup (called the Canadian Boy) or melted chocolate, strawberries & ice cream are the favorites. Keep the likes coming with Hash Specialty Coffee And Roasters’ famous fairy floss-topped hot chocolate. 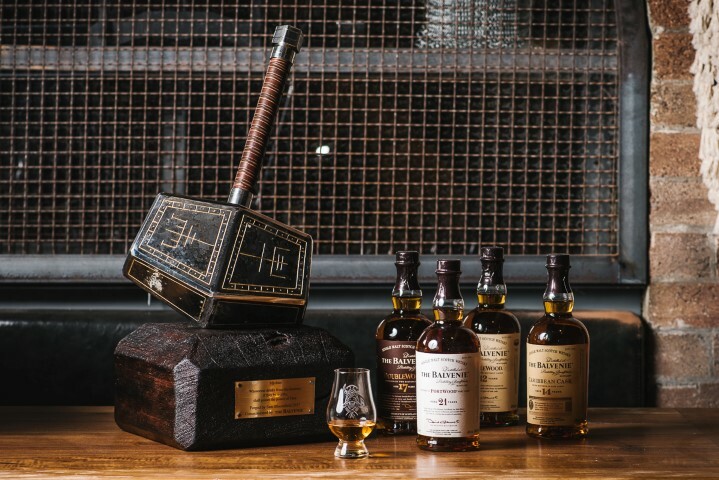 Sydney’s Viking-themed restaurant-bar proved so popular that an outpost opened down south earlier this year. Named after Thor’s mighty hammer, Mjolner Melbourne gives you the chance to drink mead from a horn (and rack up more likes). Other tipples include Scandinavian-influenced cocktails and numerous whiskies. Food is suitably meaty, all enjoyed among tasteful Norse-themed decor. Skol! 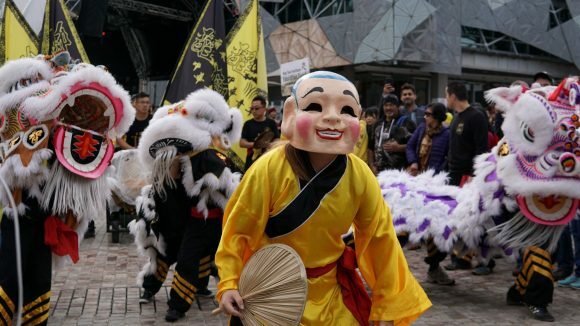 Want more tips about Melbourne’s hidden treasures and pleasures? 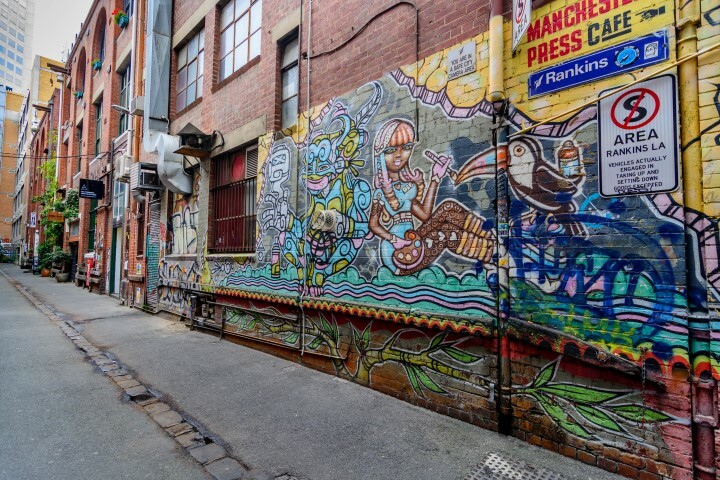 Take the Melbourne Free Tour, which includes an introduction to the city’s laneways, or follow this self-guided Arcades and Lanes walk [PDF].